After a long summer break, the International GT Open series returns, with the fourth round at Istanbul (September 22-24). As at Monza and Magny-Cours, the GTs are supporting the WTCC. 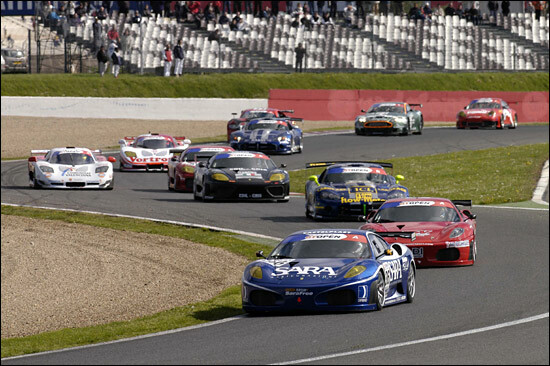 Currently, the Playteam SaraFree pairing of Michele Bartyan and Alessandro Pierguidi are in the lead of the championship with their Ferrari 430 GT (86 points and 2 victories), only four points ahead of José Manuel Pérez Aicart and Lucas Guerrero (82 points), who have not won yet but have been extremely consistent in the Escudería Bengala Mosler. In third place is Paolo Ruberti, the lead driver of Edil Cris Racing (79 points) after winning one race in the Venetian team’s Ferrari 360 and one in the new Ferrari 430. Ruberti is partnered by Matteo Cressoni. Instead of an Autorlando Porsche (the team otherwise busy at Jarama) Gianluca Roda and Johnny Mowlem will race a GPC Ferrari 360, a model that has brought considerable success to the Englishman in recent years. After the event, Mowlem flies back to the UK, then almost immediately on to Atlanta, for the Petit Le Mans event. RSV Motorsport enters three 430s, for Peter Sundberg / Domingo Romero, Michel Ligonnet / Roland Severin and former F1 driver Luis Pérez-Sala sharing with Manuel Cerqueda in a car carrying the colors of the Automòbil Club d’Andorra. The GTS class sees several of the FIA GT3 cars heading straight to Turkey from last weekend’s event at Mugello:, the Racing Box Vipers are unbeaten so far, but will be challenged by the BMS Aston Martins. One of the Racing Box Vipers will have an all-Turkish driver line-up: Vural Ak, who is a double Turkish Off-road Champion and a recognized competitor in international rally-raids, is partnered by Ahmed Özgün. The two one-hour races (one on Saturday, one on Sunday) will be broadcasted live by the Eurosport network throughout the continent.